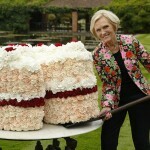 Buck up little cookery campers, looks like there’s a new baking sheriff in town and it goes by the name of The Big Family Cooking Challenge. 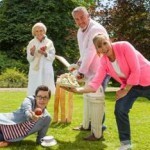 The new amateur cookery program will pit family teams of home cooks against each other (with appropriate British civility, I’m sure), with the judges visiting homes to deliver the challenges and decide who will be declared the nation’s best home cooks. 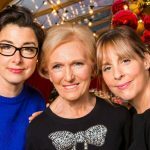 With the original Great British Bake Off having left the BBC after Channel 4 showed them the dough, it appears that co-hosts Sue Perkins and Mel Giedroyc along with British food writer/television presenter and GBBO judge, Mary Berry, will be getting the band back together for the new BBC series. 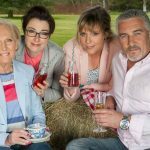 Former Bake Off judge, Paul Hollywood, will take his tent and move to Channel 4 for their version of the BBC cookery juggernaut when it materializes sometime in 2017. 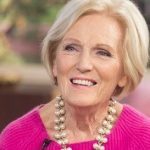 Channel 4 is in the process of finding Hollywood’s co-stars for the new Bake Off series, with Gok Wan and Alan Carr being the most recent suggested names to fill the Mel and Sue role. You might remember that the first names out of the shoot to serve as possible co-hosts were Dawn French and Jennifer Saunders. 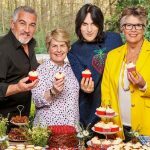 While its anyone’s guess as to what either show will look like, my money will be on the The Big Family Cooking Challenge from the BBC, especially if it reunites Mary, Mel and Sue.